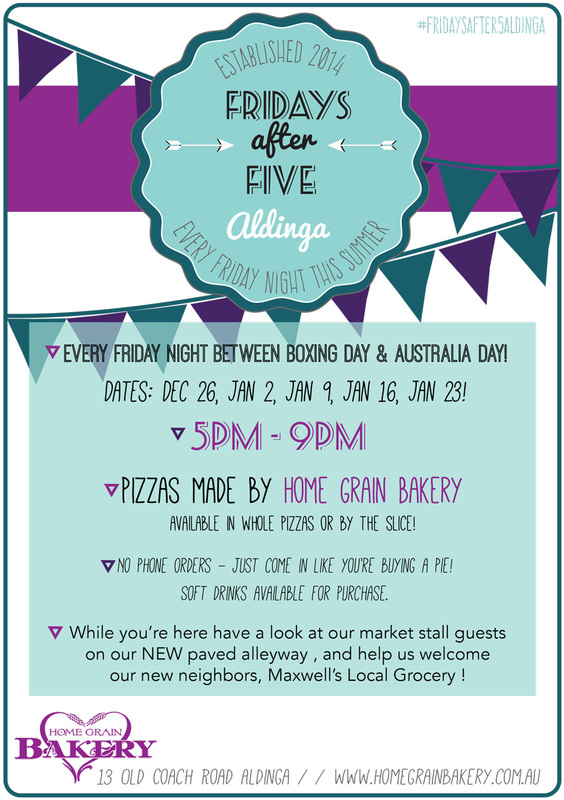 This summer Aldinga is going to be the place to be on Fridays after 5pm! 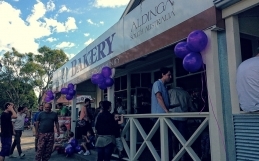 Home Grain Bakery, Aldinga is hosting an event! Every Friday between Boxing Day and Australia Day we will be serving pizzas, and we’ll also have a few guest market stalls in our newly paved alleyway beside the bakery! There will be music, and some really great people to talk to. So come down, and let us feed you! We’ll make the pizzas, and sell them like pies! Instead of ordering ahead, you just have to come and talk to us and see what’s available (but we’re really nice, and really lovely to talk to!) We’ll sell them by the slice, or by the whole pizza to share with your family. We still don’t have many seats, so there will only be a few available! But you can eat your pizza while you walk down our alleyway looking at some really great market stalls. Or take it down to the beach! These summer nights make it so nice to stay outside just a little bit longer! 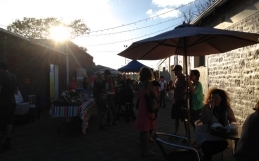 This beautiful area is doing some really great things! Some of the most friendly and talented people call this area home, so we just thought that we should get a few of them together so you can meet them and they can show you what they do! It’s only going to be a little, cozy affair, with no more than nine stalls! But we love all of them, and think that you will too! Farewell for now, friends, and as always – we hope to see you soon! Market Stall Guests: Sunshine Ice Blocks, Fine & Dandy Tea, Fleurieu Gifts, Lesa Farrant Pottery, Port Willunga Fine Foods, Mrs Henri & Co Felt, and MORE!